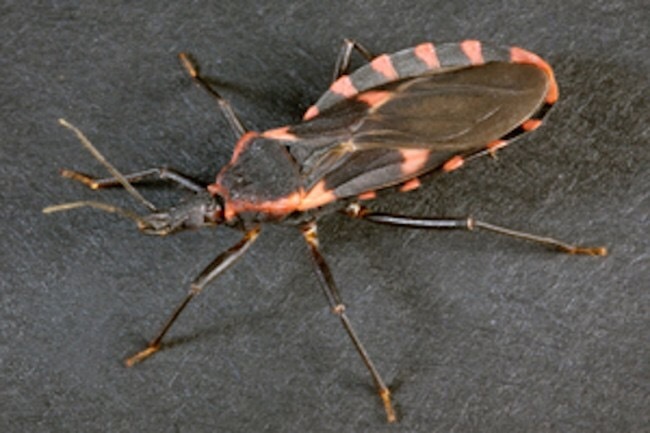 HOUSTON – Nov. 2, 2015 – Chagas disease — the third most common parasitic infection in the world — affects approximately 7.5 million people, mostly in Latin America. To help reduce outbreaks of this disease in their countries, the United States and Mexican governments should implement a range of programs as well as fund research for the development of Chagas vaccines and treatments, according to a new policy brief by tropical-disease and science policy experts at Rice University’s Baker Institute for Public Policy. The paper, “Chagas Disease: Sharing the Burden and the Solutions in the United States and Mexico,” was co-authored by Kirstin Matthews, fellow in science and technology policy, and Jennifer Herricks, postdoctoral fellow in disease and poverty. T. cruzi is not normally transmitted from person to person but is spread through insects called triatomines, also known as “kissing bugs.” Kissing bugs spread Chagas disease directly to humans through their feces. 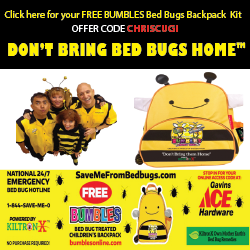 The term “kissing bug” is used because the triatomine usually takes a blood meal from around the face when a person is asleep outside or in a housing structure that allows the bugs to get inside. As the bug feeds, it also defecates. When the person rubs the irritated spot, they unintentionally rub the bug’s feces, containing the parasite, into an open wound or into the eye. 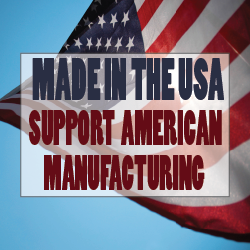 From there the parasite can enter the bloodstream. 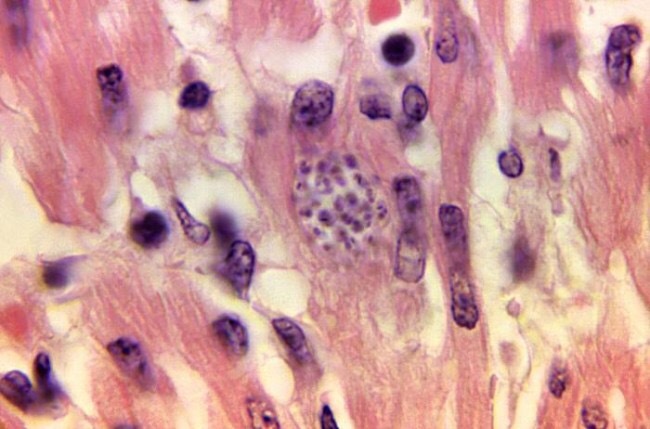 Without treatment, some patients, mostly children and immune-compromised individuals, will progress to myocarditis (inflammation of the heart muscle) or meningoencephalitis (inflammation of the central nervous system), which can be fatal. Pregnant women with the disease can experience miscarriage and preterm labor. T. cruzi can be passed from mother to child during pregnancy, a condition known as congenital Chagas disease. 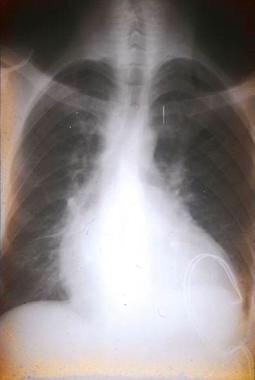 This condition represents over one-quarter of the world’s cases. 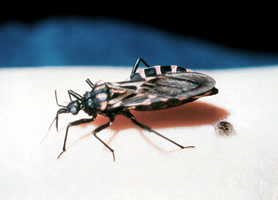 In the U.S., the impact of Chagas disease is greatest in California and Texas in terms of estimated numbers of cases. 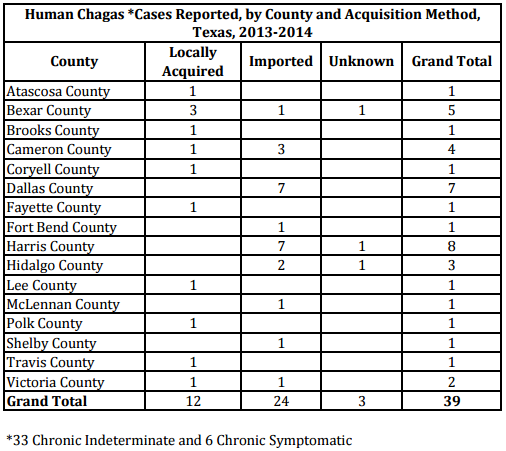 Despite the fact that many states are affected by Chagas, the disease is formally reportable in only three states: Texas, Arizona and Tennessee. In Texas, approximately 50 percent of kissing bugs and 20 percent of dogs are estimated to be infected with the T. cruzi parasite. Conservative assessments suggest that there are 300,000 people living with Chagas in the U.S., but other estimates suggest nearly a million people in the country — 300,000 in Texas alone — may have Chagas disease, the authors said.